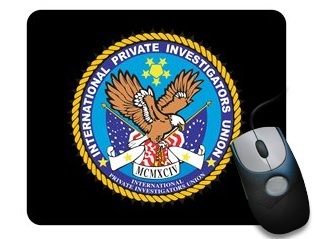 NEW TAN GOLD BADGE & "WALLET"
Why Join the Private Investigators website Affiliate Program? ·	Joining is ABSOLUTELY FREE. ·	Setup takes between 5 to 10 minutes. ·	Earn easy additional income from sales you refer. ·	Generate revenues from your website. ·	Raise funds for your organization. Can I Become an Affiliate Partner? YES!!! Become an Affiliate Partner with The Private Investigators website and instantly gain additional valued income through your existing website without bearing any extra costs whatsoever. You do not have to spend money on advertising or marketing! All you do is link with us and start making easy additional money. to join with us and utilize your existing web-traffic and gain additional income. Partnering with The Private Investigators website is an effort-free, simple and profitable venture for all parties. Partner up with the Private Investigators website affiliate program and you will have access to our banners that can be displayed on your website. Visitors on YOUR SITE, who click the banner and make a purchase with us, are actually working for you and making you easy profits from the sale. 1. We pay you a commission, on ALL PURCHASES made by customers referred from you. 2. By "ALL PURCHASES" we really do mean ALL PURCHASES. 3. Any customer, who was referred by you, will remain YOUR CUSTOMER FOREVER. 4. Any additional purchase he makes on our site, even if he does not connect to the Private Investigators website via your site for that specific purchase, you will still get the commission from that sale. 5. The more banners on your site directing to the Private Investigators website, the more customers you direct, the bigger, the easier, the more continuous your profit will be. 6. It is exactly like investing in yielding real estate ventures, only without spending any money. You just sit back and enjoy your profits. Partner with us NOW! It's easy! 1. REGISTER NOW to our affiliate program. 2. Choose the banner, text or product photo from our website which will be displayed on your website. 3. Copy the banner code to your website. Banners must be placed on visible pages, (not on a links page). You can also create links to individual products or categories that may be specifically related to your website. Now, Sit back and relax. Your zero-effort business is going to work for you. Visitors from your website that will click the Private Investigators website banners will be automatically redirected to our website. Our admin system will automatically monitor the sales that were made due to traffic out of your website and will calculate your commission from it. The customer is marked as yours forever, for any future purchase he makes, you profit. We take care of everything. From the sale through the after sales service and prompt payments to you. All you have to do is register. The Private Investigators website has compiled this information page in order to supply you with all you need to know about partnering with us and about our affiliate program. If you have any additional questions, please Contact Us for more information. Please refer to our Frequently Asked Questions page for more information.